How does Samsung's latest ultra-high-resolution Ultrabook stack up? Brace yourselves: The death of the pixel is coming. As consumers look to cheap tablets for their basic computing needs, PC makers are putting more effort into creating luxury machines to compete with Apple's MacBooks. The idea is that if you're only going to buy one PC for serious productivity, it might as well be a dream machine--and a big part of that ideal is manifest in the ultra-high-resolution displays we're starting to see on the streets. Soon, a wave of laptops with ultra-high-resolution displays, thin and light designs, and long battery life will be hitting store shelves. 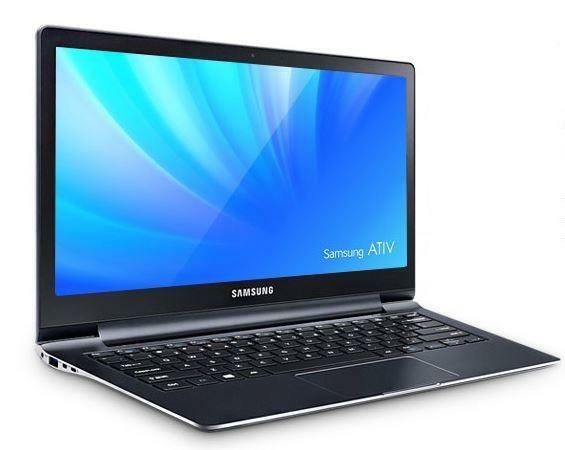 Samsung's ATIV Book 9 Plus, announced on Thursday, is just the latest example. How do all these luxury laptops compare? We've created a chart, pitting the ATIV Book 9 Plus against Acer's Aspire S7, Asus' Zenbook Infinity, Toshiba's KiraBook, Google's Chromebook Pixel and Apple's 13-inch MacBook Pro with Retina Display. 3.06 lbs / 0.53 in. 2.87 lbs / 0.51 in. 2.66 lbs to 2.97 lbs / 0.7 in. 3.35 lbs / 0.64 in. 3.57 lbs / 0.75 in. Samsung promises the best battery life and screen resolution of all the PC makers, but how much those specs will cost is unknown. The company is working on a "Lite" model of the ATIV Book 9 with a lower screen resolution, bulkier chassis and weaker specs. The Chromebook Pixel is actually the cheapest of the bunch, but of course it only makes sense if you're okay doing 100 percent of your work in a Web browser. While it seems possible for PC makers to achieve MacBook Air-like thicknesses with their high-resolution laptops, it's not cheap to do so. That may explain why Apple held off on Retina displays for this year's MacBook Air refresh.